Preacher/pitmaster Reverend Clinton Edison with a two-meat plate at New Zion Missionary Baptist Church Barbecue. Pork ribs are the best bet at Virgie’s Bar-B-Que, a tiny barbecue joint in a former convenience store on North Gessner. The barbecue sauce is sweet and so are the beans, the sweet pickle potato salad, and the iced tea. 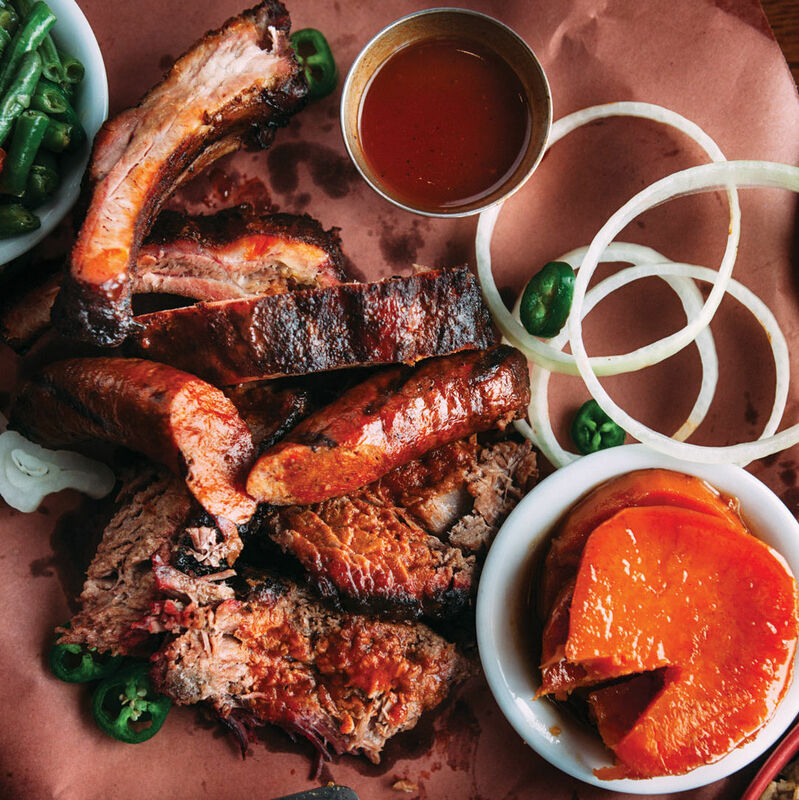 This is not the flavor signature of a typical Texas barbecue restaurant—it tastes more like lunch at an African American rib joint in the Old South’s sweet tea belt. The first time I stopped by Virgie’s, owner and pitmaster Adrian Handsborough was manning the cash register. Behind him a Bible stood prominently displayed on a shelf. There were Bible quotes and Christian sayings on the walls and tables. I asked Handsborough if he was a church elder. “Yes, I am. I’m a deacon at the Greater Macedonia Baptist Church,” he told me. While researching my book Barbecue Crossroads, I discovered that the connection between religion and the Southern-style black barbecue of East Texas goes back to the era of Stephen F. Austin and the first American settlers. The earliest mention of Texas barbecue I can find in print is a quote from the text of a handbill advertising a Shelby County revival meeting held in 1832, where free barbecue was given out to all in attendance. Pit-cooked meat and the word of God first teamed up in Kentucky in the late eighteenth century. “The Second Great Awakening,” as the spiritual movement was known, converted millions of frontier folk to the Methodist and Baptist faiths during outdoor gatherings where celebrants frequently numbered in the hundreds and sometimes the thousands. The throngs were fed with livestock that was slaughtered and barbecued on the spot. After its success in Kentucky and Ohio, the movement spread across the West. The first legal Protestant revival meeting in Texas was held on Caney Creek near present-day Huntsville in 1834. The camp meetings were usually held from Thursdays through Sundays, and one of the main attractions was—you guessed it—free barbecue. In the early twentieth century, revival meetings were still frequent occurrences in East Texas. 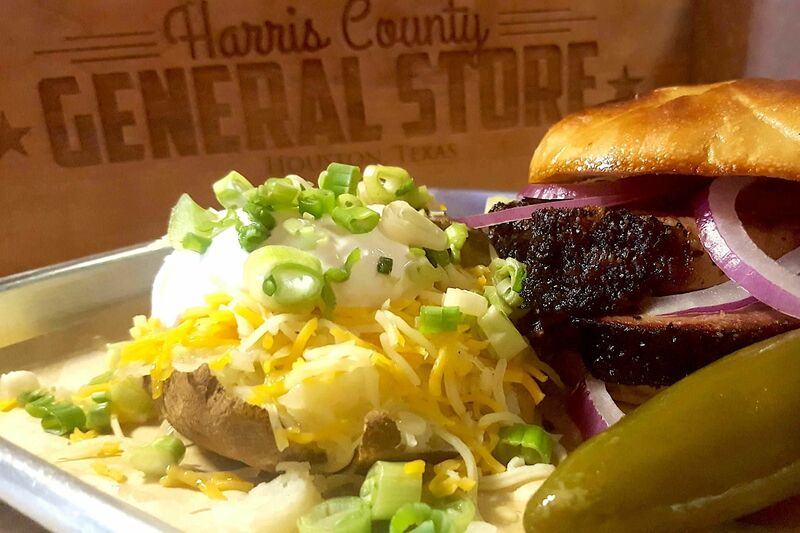 You may be familiar with Texas barbecue icon C.B. Stubblefield, better known as “Stubbs,” whose face appears on one of the nation’s top-selling barbecue sauces. 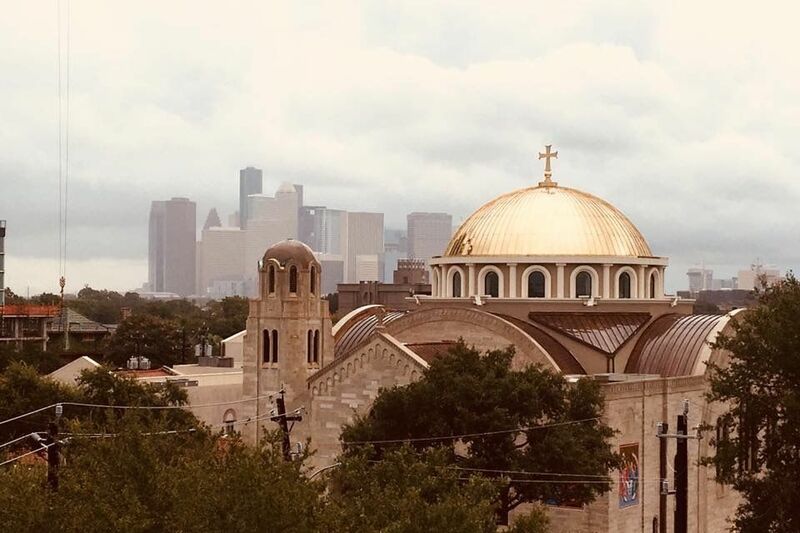 What you probably don’t know is that Stubbs, who was born in Navasota in 1931, learned to barbecue from his father, Christopher Columbus Stubblefield, a Baptist preacher who attracted congregants to his tent meetings with the scent of delectable smoked meats. Today, the preacher/pitmaster tradition lives on in many African American churches, as anyone who has visited the New Zion Missionary Baptist Church Barbecue in Huntsville can attest. That celebrated barbecue stand began in 1981, when volunteers cooking for a church-painting crew made so much money selling meat to passing motorists, they decided to come back and do it again the next week. Barbecue dinners in the church hall are now a permanent feature Wednesdays through Saturdays. 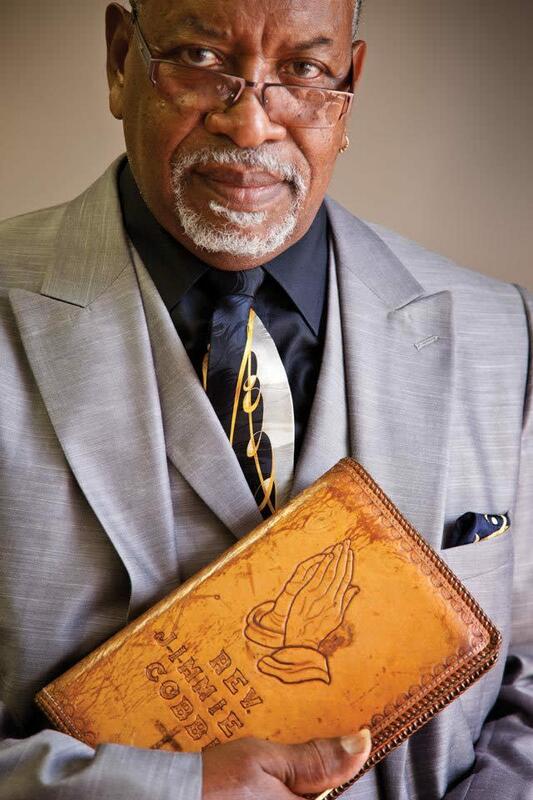 Reverend Jimmie Cobbin, former owner of Jimmy’s Ribs in Richmond, preaches at area churches. Preacher/pitmaster Reverend Clinton Edison, a former Alabama law enforcement officer, presides over both the barbecue business and the church. The brisket at New Zion is coated with dry rub for 24 hours, smoked until done, then held in a covered roasting pan in the oven, where it continues to slow-cook until it reaches that East Texas ideal of falling-apart tenderness. 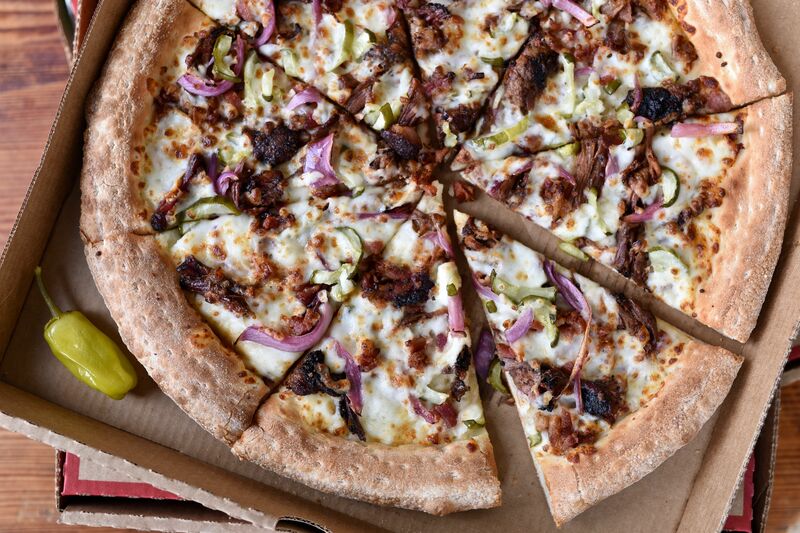 The barbecue sauce is sweet. Reverend Leroy Hodge of the New Hope Missionary Baptist Church in Richmond serves as the pitmaster when his church sets up a barbecue stand in front of McCoy’s Lumber on Avenue H in Rosenberg, some Sundays after services. 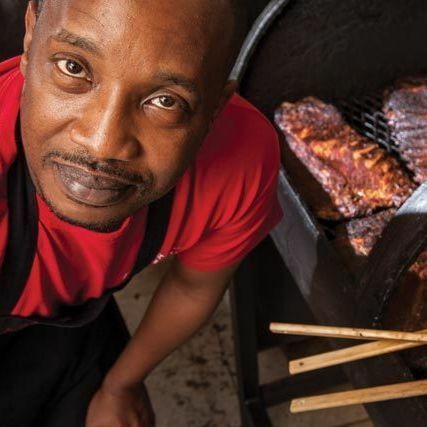 Look for the folding tables and chairs under a blue plastic tent with a sign that reads: “Barbecue Sale.” The group has been selling barbecue since 2004, but Hodge has been smoking meat since he was a child in the Fort Bend hamlet of Crabb. 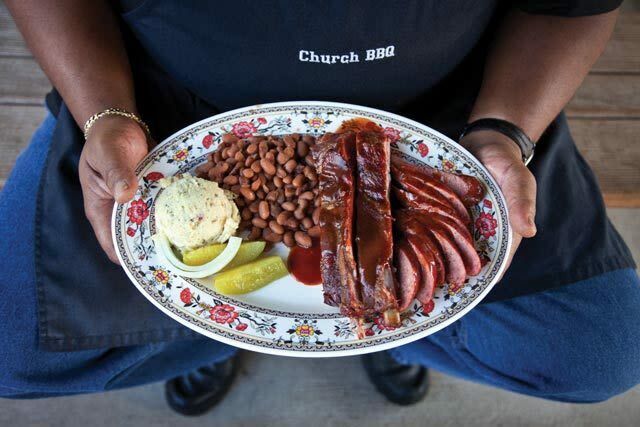 The congregation sells barbecue to raise money for the church building fund. Reverend Hodge’s three-meat plate comes with falling-apart-tender sliced brisket, crunchy rib chunks, and thin, lengthwise slices of sausage piled high in a square polystyrene to-go box with the usual pickles, onion, jalapeños, and white bread. Church ladies bring homemade side orders from home, and you might also find some tea cakes and other bake sale items, too. 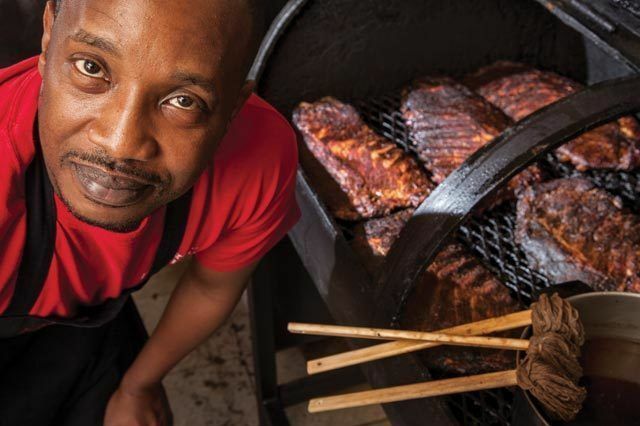 Once you start to see the connection between African American barbecue and religion, it pops up everywhere. When I attended services at Reverend Hodge’s church one Sunday, I met a guest preacher named Reverend Jimmie Cobbin. After I asked him if he ever cooked barbecue, he smiled and said, “Funny you should ask.” As it turned out, Cobbin operated a barbecue stand in Richmond called Jimmie’s Ribs for several years. Thelma Williams stops by her restaurant after church. 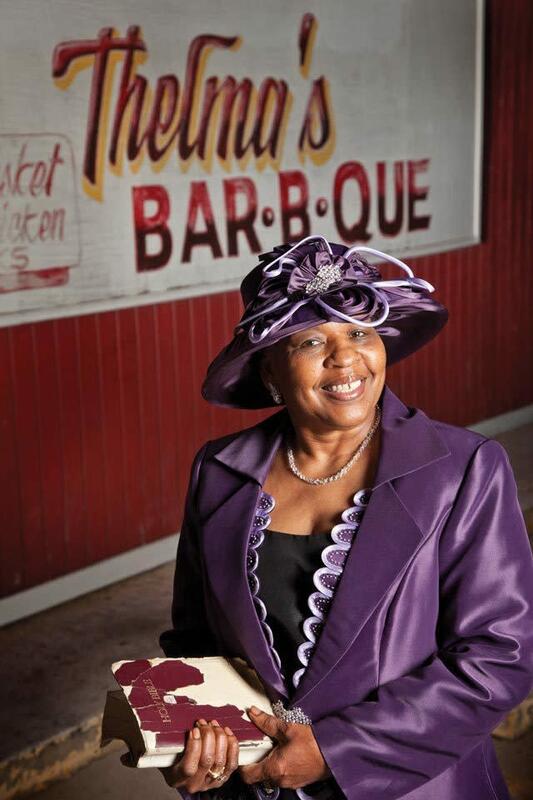 One of Houston’s best-known pitmasters, Thelma Williams of Thelma’s Barbecue, got her cooking experience doing dinners at Good Shepherd Baptist on North Wayside, before her friends convinced her to open her first barbecue restaurant. 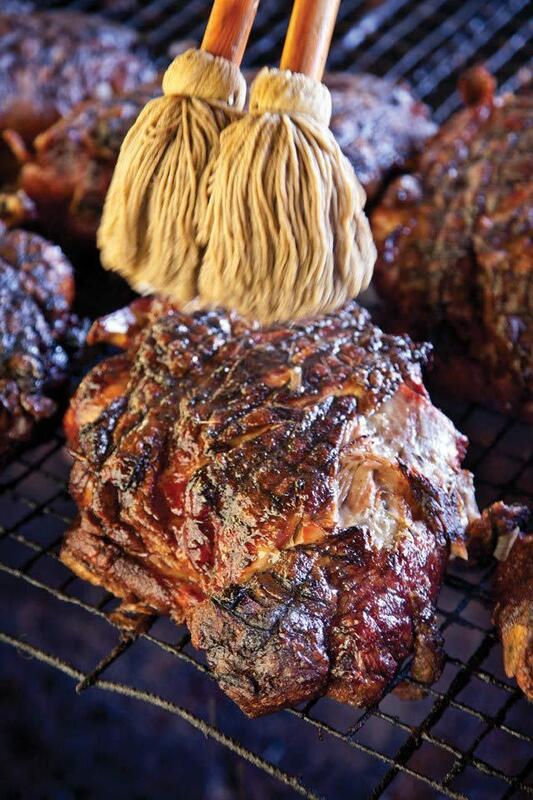 Thelma wasn’t cooking when we compiled our Best Barbecue in Houston list. She recently closed her restaurant on Scott Street and is planning on opening soon in a new location. Over at Gatlin’s BBQ on 19th Street in the Heights, there’s a cartoonish painting of Jesus towering over the barbecue joint hanging on the wall. Gatlin’s serves excellent Southern-style pulled pork as well as outstanding beef brisket, two kinds of sausage, two varieties of ribs, plus chicken and turkey. The restaurant serves your choice of sweet or unsweetened tea, savory pinto beans, or sweet baked beans, and African American-style mashed potato salad, or Creole-style dirty rice. And they have a New Orleans-style bread pudding for dessert. In other words, Gatlin’s serves a mash-up of barbecue styles. When I asked Gatlin about the painting of “barbecue Jesus” and his religious affiliation, he told me he was looking for a new church. But his father, Henry Gatlin, who is also a partner in the barbecue business, is a deacon at the Bella Vista Missionary Baptist Church in Garden Oaks. When somebody says barbecue is part of their religion around here, odds are they aren’t joking. $$ Barbecue 5535 North Gessner Dr.